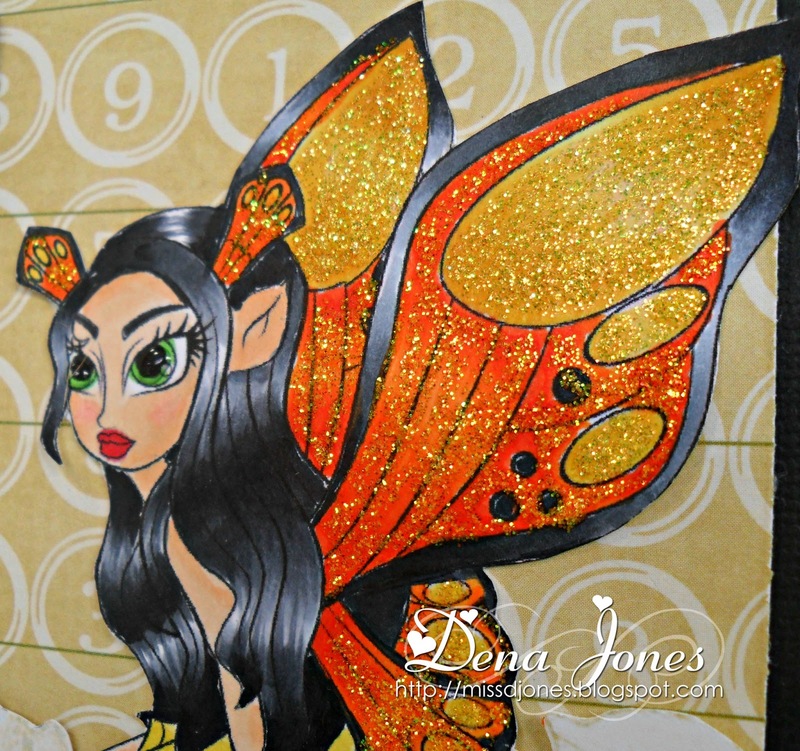 Here is my card for the latest Simply B Facebook fan challenge using Liliana. The challenge was to use this cute digi image and incorporate the following colors: black, white, and orange. I colored Liliana with Copic markers and then used orange and yellow Stickles on her wings. I fussycut her and placed her on the daisies that had been fussycut also. 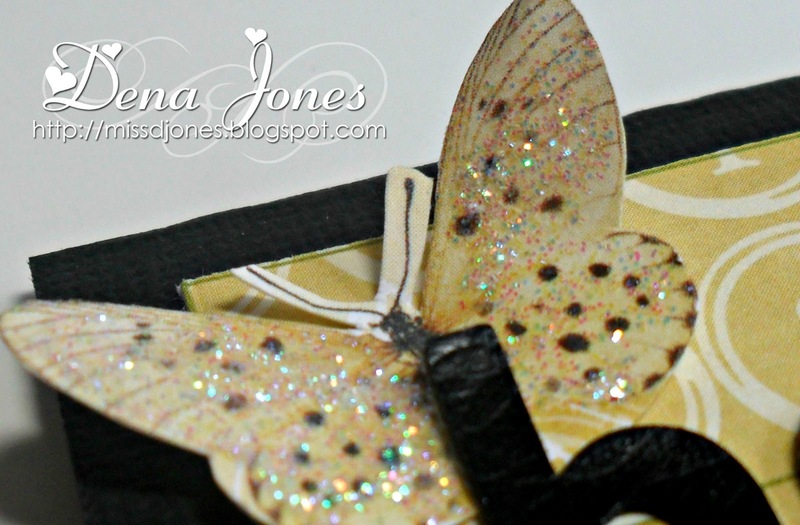 I used lots of Glossy Accents on this butterfly. I also added Glossy Accents to the centers of the daisies. 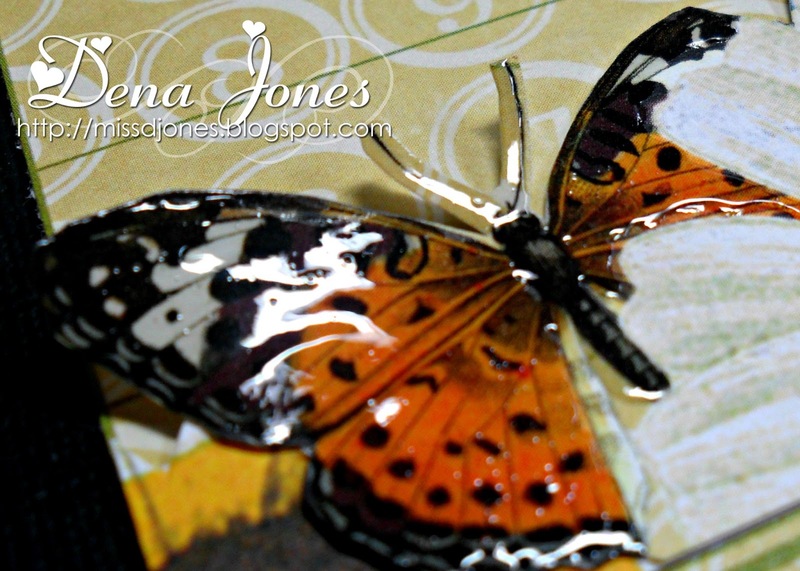 I fussy cut this butterfly and added Stickles to it.